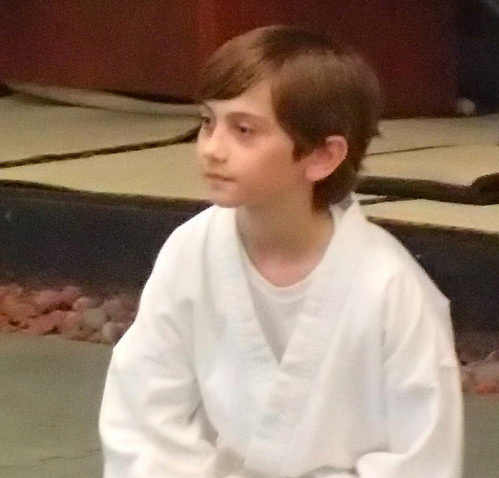 My son has been attending class at FHMAA for about 6 months now, and he really enjoys classes. He likes the variety – sometimes it will be an in-depth look at one or two specific moves, and other times it is a review of what they’ve learned in the past. I like the teaching style of the instructors. It’s obvious they really have the kids’ best interests in mind, and they know how to keep the students on task if needed. I also like that the school is not a “belt mill” – students don’t advance in rank just by showing up for a specific number of classes; they have to know the skills being tested and pass the advancement test. ⟵This dojo is like my second family.